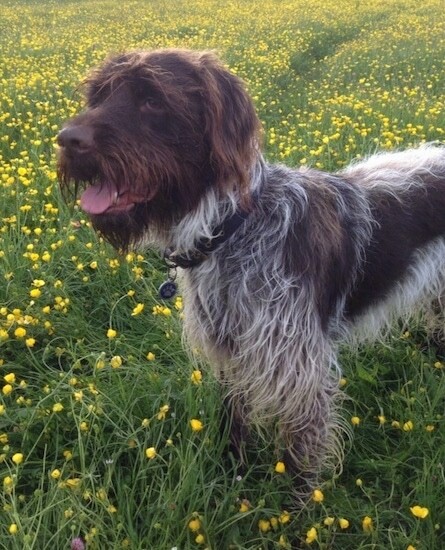 Harry the Wirehaired Pointing Griffon at 4 years old—"Harry is a great companion and a super family dog. He's very intelligent and sensitive and we wouldn't be without him." There is no such thing as a "totally" non-shedding dog. All dogs shed at least a little hair at one time or another, as do humans. There are, however dogs that shed very little hair. This is a list of breeds that shed very little hair. Keep in mind that if the dog is a mixed breed with one non-shedding parent and one shedding parent the dog may or may not shed. You can usually tell if the dog will shed when it is a puppy. If shedding is important to you and you are adopting a dog for this trait make sure you confirm the actual dog you are bringing into your home does indeed shed little hair.